We built our first Kori in 2009, and even after a few years, she’s still a favorite and is October’s most popular floor plan! She features a distinctive covered front porch, 1,611 square feet of living space, three bedrooms and two bathrooms. 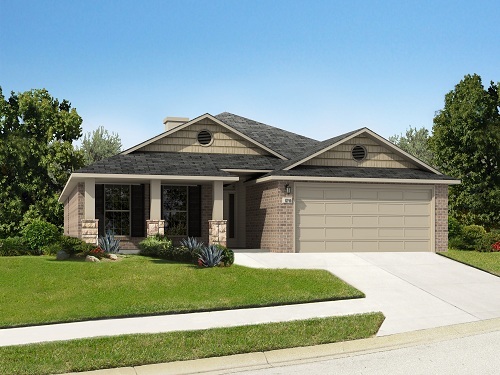 Wanting to be in a new home before the Holidays? We have a completed, quick move-in Kori for sale at 7023 96th Street in our Quincy Park community, which is in the Frenship Independent School District. 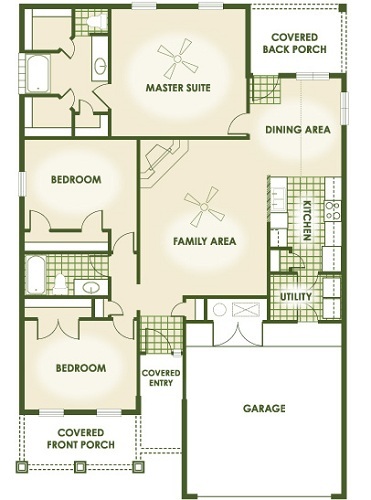 See the Kori’s floor plan information sheet with dimensions on our website.